"Back to the roots" with the kinofreund shipping box. Although the shipping boxes for 35mm film became very rarely in the past few years, in cardboard packaging we see the future . 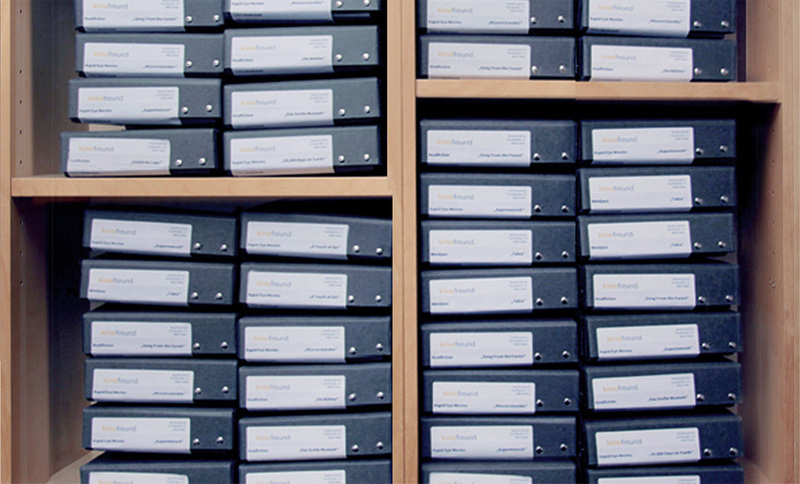 The kinofreund shipping box makes the organisation of your DCPs always clear and structured. 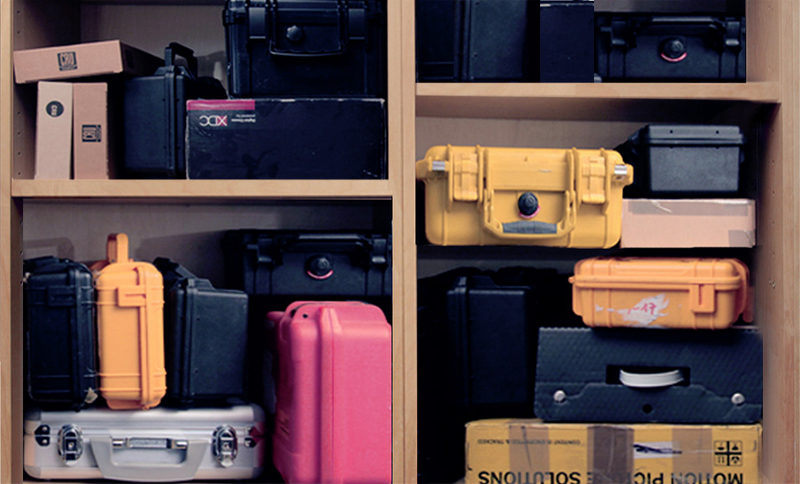 Due to its compact form, the kinofreund shipping box is stackable and space-saving. It is universal, environmentally friendly, lightweight, mostly recyclable and made in Germany. 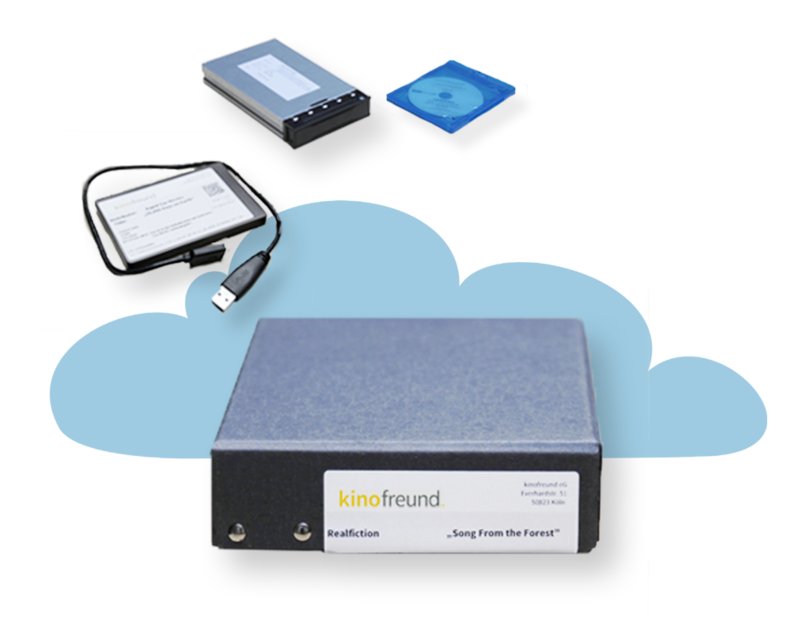 Whether hard drive, Blu-Ray or Cru Data, in the kinofreund shipping box you can send all sizes easily. The DCPs stack disordered in the shelves. You do not find your hard drives again. The kinofreund shipping box brings order and structure into your shelves.